Passing through beautiful Puebla on my way to Xalapa, I stopped to see a one-man exhibition of prints. The artist who I knew as ‘Lukas’ invited me to view his Peregrinajes (Pilgrimages) at the Municipal Institute of Art and Culture. The gallery space does double duty as a classroom. When I entered, the floor was covered with student prints set out to dry. The Gallery Director, Domingo Castillo, apologized, but it is good to see so much artistic activity in the city-run institute. As it turns out, Lukas is his Facebook name, his real name is Victor Hugo Mereno Terrez. Considering the literary references in much of work, his birth name suits hims. 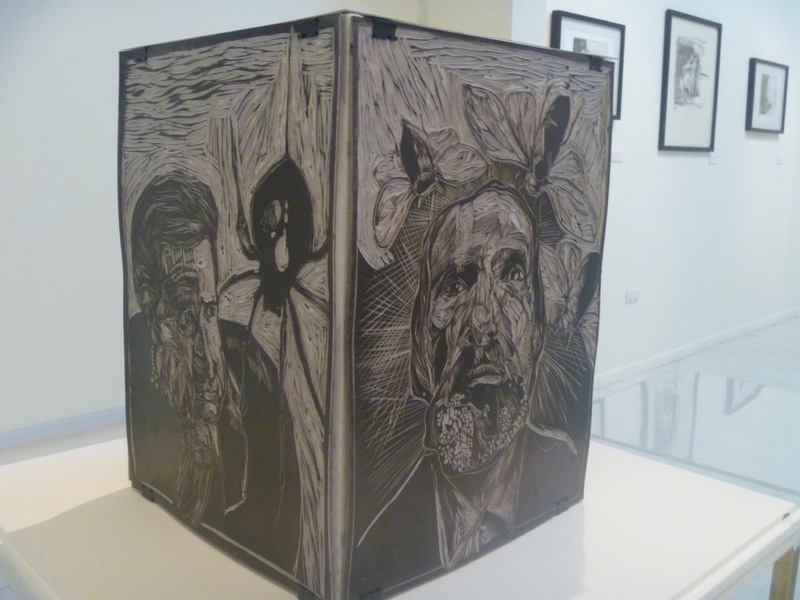 There were over 20 works in the show, linocuts, wootcuts, etchings and lithos. He brought even more work to show me, sketches and works in progress carved in plywood and drawn on metal. He shared a process new (to me) Silocografia, a dry form of lithography done on metal. 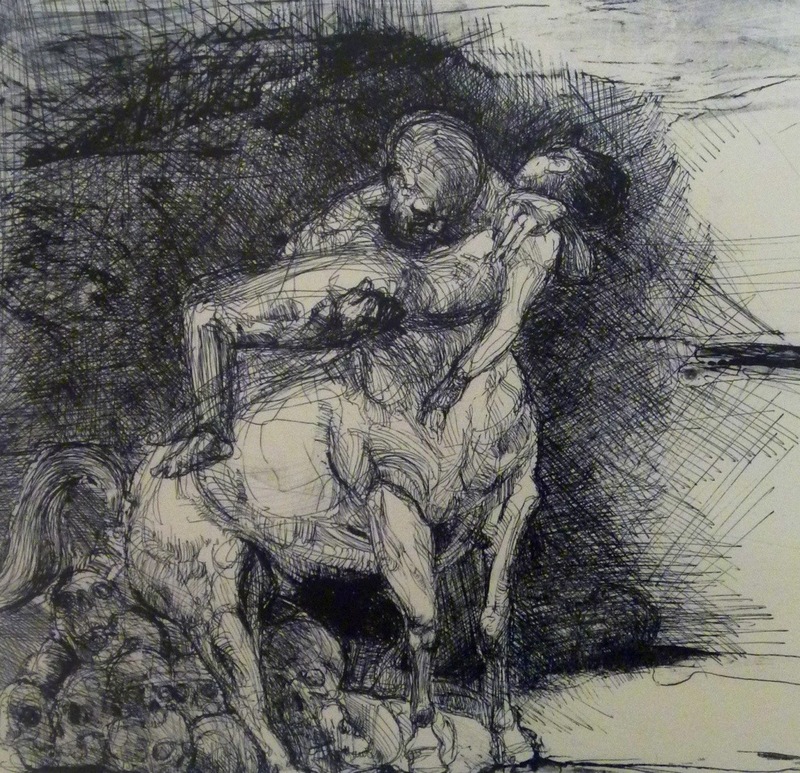 Below is a detail from one such print, La Derrota de Quiron. He draws quickly with an ordinary ballpoint on sheet metal. I’ve used a litho pencil on a metal plate, but this ballpoint technique in Victor’s hands retains the remarkable vitality of his drawings. I asked him where he studied. He told he was an autodidact, meaning self-taught. He studied philosophy and letters at college. 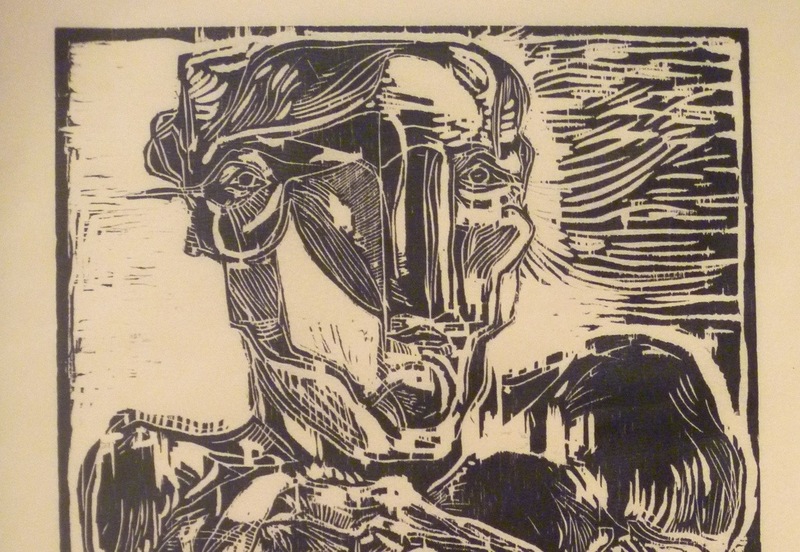 He has, however, since studied printmaking at tallers, teaching studios, across Mexico including with Maestro Bulmaro Escobar Ramirez and Maestro Per Anderson at La Cieba Grafica. Detail above from a large print, Logos. 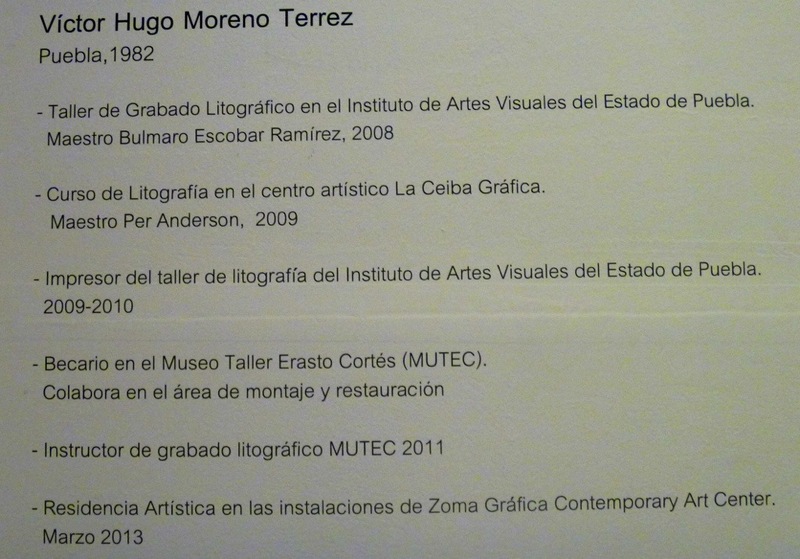 Additional examples from the work of Victor Hugo Mereno Terrez appear below. 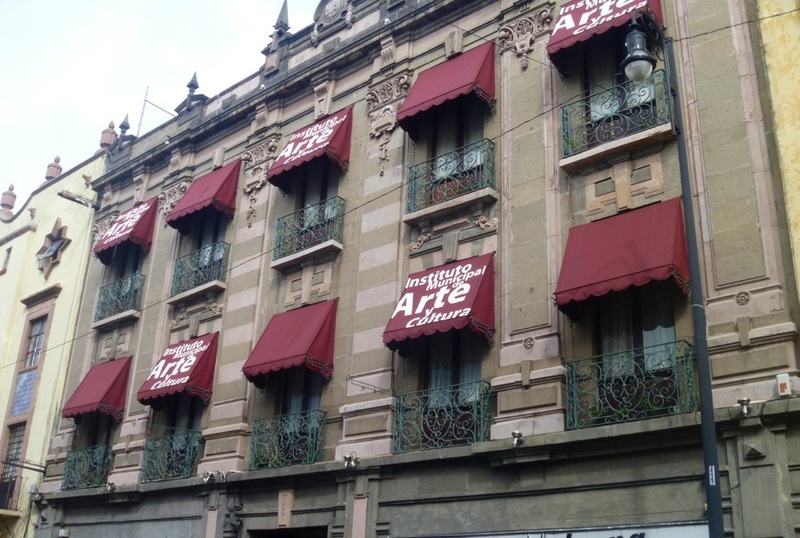 Visitors to Puebla interested in prints should visit the Municipal Institute Gallery and also the famed Museo Erasto Cortes, devoted to the art of printmaking. Finally, to show one more reason to visit Puebla. 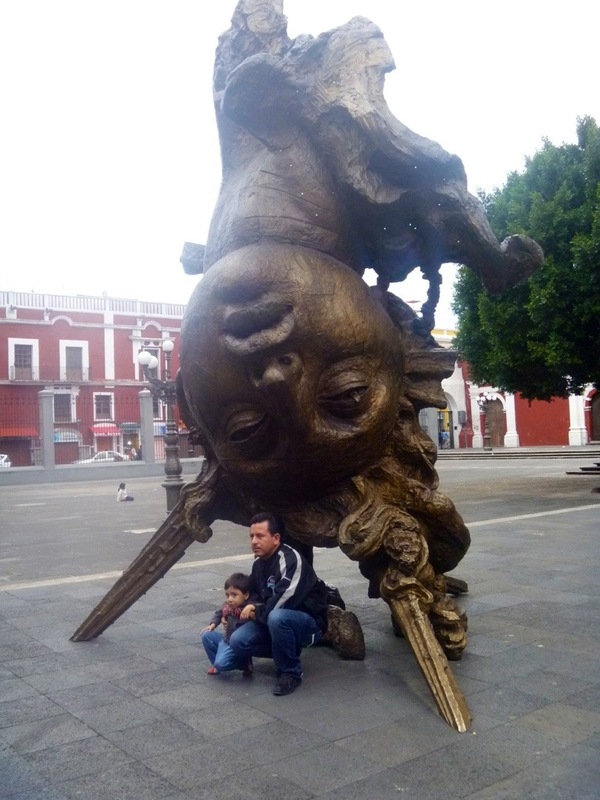 Pictured below is one of three massive bronzes by the Mexican sculptor, Javier Marin. This one is called Female Head, Chiapas. It stands in the plaza San Geronimo, and is enormously popular with visitors.